Real estate professionals who have been dealing with luxury homes have taken a major hit in recent years as the economic downturn has made it difficult to sell multimillion dollar homes. However, Forbes.com reports that the recent sale of one the most expensive mansions in the United States might be a reason for some hope. Le Belvedere, a sprawling 10-bedroom, 14-bathroom estate on a 2.2-acre bluff in Bel Air, Calif. sold on June 4 to an unidentified European family for as much as $72 million. 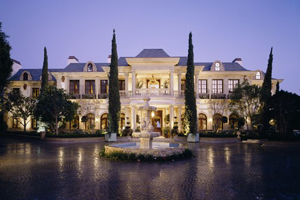 The estate was built by Mohamed Hadid, a developer of the Ritz Carlton Hotels, as a personal home. Hadid put the house on the market at $85 million in early 2009 but was forced to drop the price to $72 by the end of the year. The house has been in escrow since May. The sale of Le Belvedere is believed to be the largest private real estate sale in 2010 and one of the largest sales ever handled by a broker. There are plenty of even more expensive estates near Le Belvedere that are still on the market. Candy Spelling (the widow of television executive Aaron Spelling) is selling her nearby Beverly Hills mansion for $150 million, while another marble classical-style dwelling is on the market for $125 million less than a mile away.